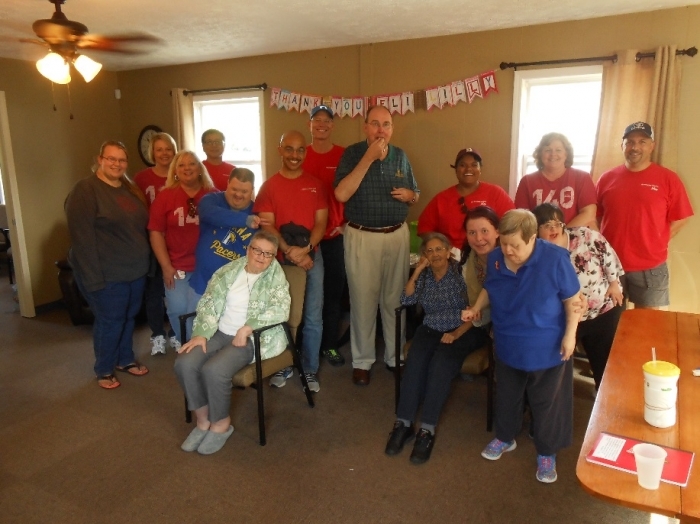 Check out all the wonderful things our volunteers have been up to recently! Miss Beverly checks out what Santa brought her this year. 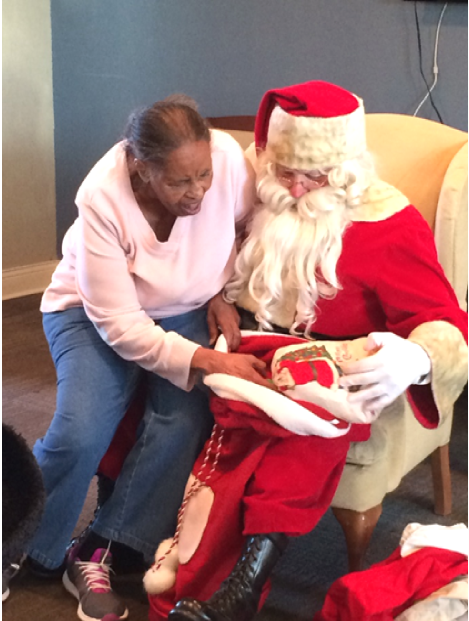 Every year, volunteer Earle Hart comes to Joy’s House to spread holiday cheer to our Guests. 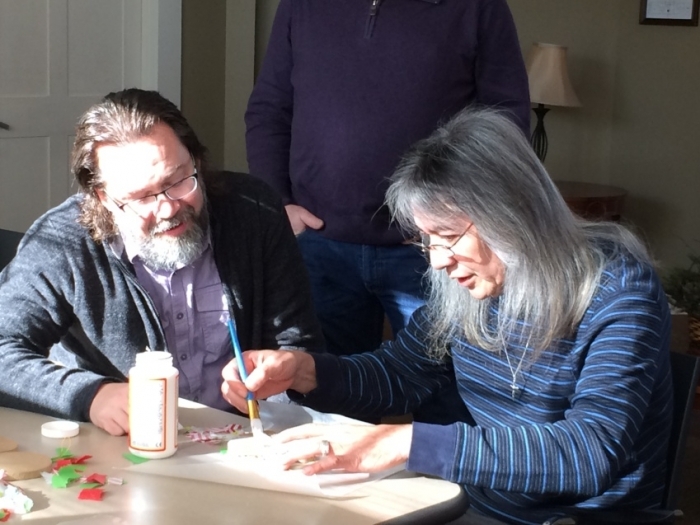 Doug Everidge with the Lilly Global Marketing team joins Mr. Art in making an ornament. We’re not sure who had more fun…the volunteers or our Guests! 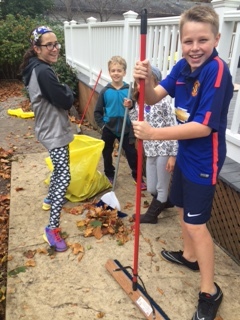 Students from Eastwood Middle School and Allisonville Elementary School spend their Election Day serving their community through volunteerism…and having fun doing it! 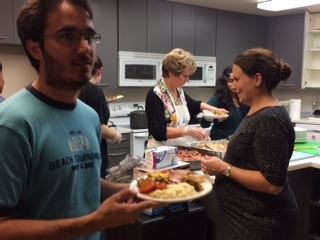 The Holiday Luncheon means a time to serve. Our amazing volunteers arrive early to help prepare the food and then serve our Guests and caregivers with a smile! 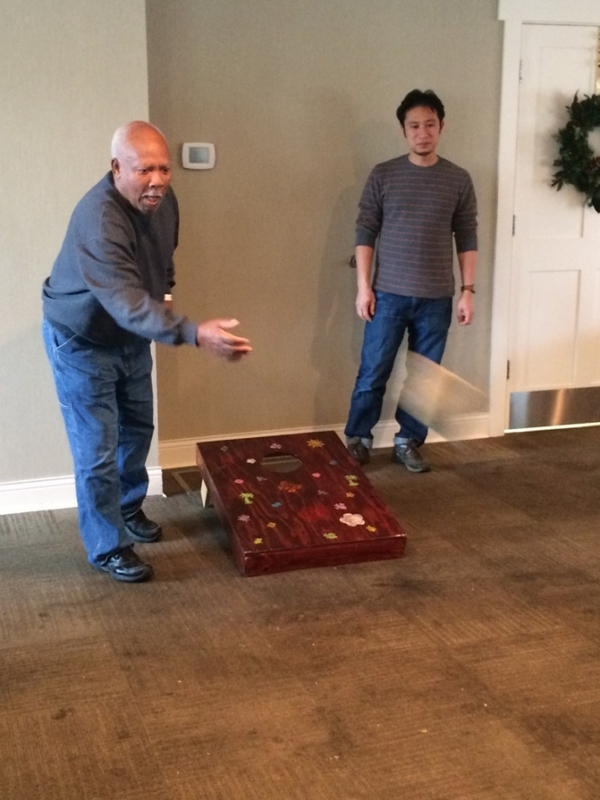 It’s a Guy’s “Night” Out at Joy’s House, which involves football, “beer” and a friendly game of corn hole! Andy Chen and Mr. Richard enjoy their time hanging out with the guys. Our friends from Eli Lilly visited us this fall for their Global Day of Service. They cleaned and stained our fence, and we are so grateful for their help! 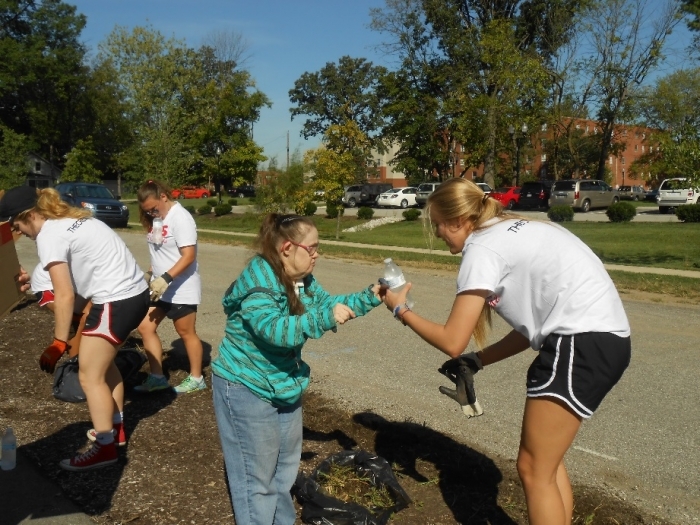 A group of students from Center Grove High School came to plant flowers and beautify our outdoor space – Miss Debbie helped pass out water and snacks to all of our helpers. We are so fortunate to be right in the University of Indianapolis’ back yard and love our student visitors and volunteers! 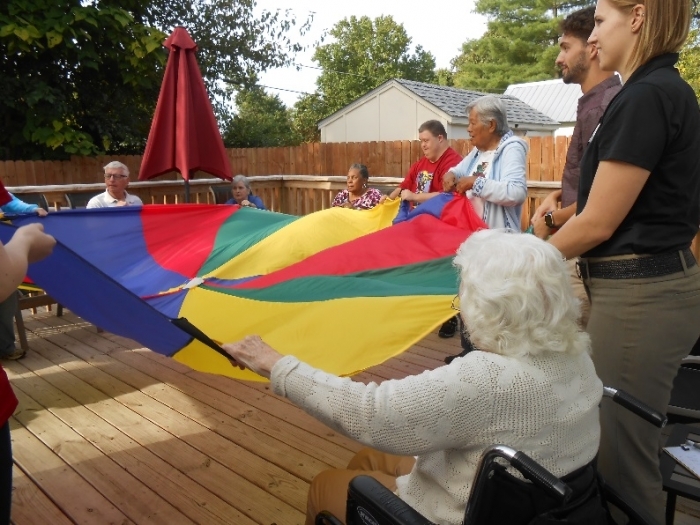 Physical therapy students went outside with our Guests to take advantage of some beautiful weather. 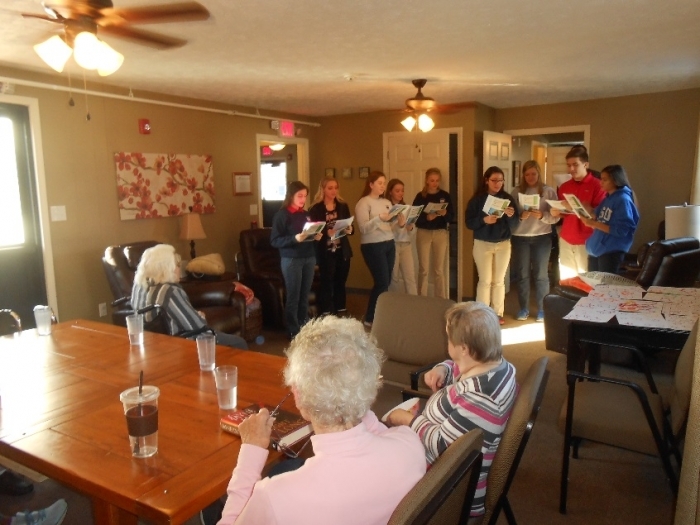 Our Guests were a captive audience when we were visited by members of the Roncalli High School Choir! 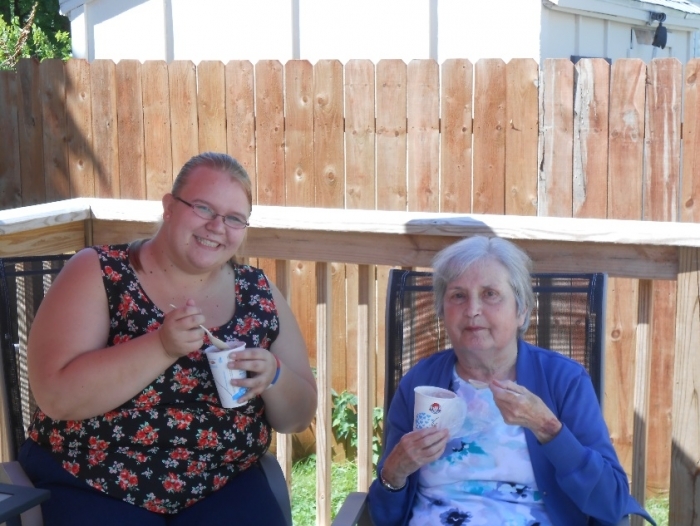 Courtney, pictured here enjoying a sweet treat with Miss Barbara, started as a volunteer – now she’s a valuable member of our Guest Relations team!